We don’t really do Halloween in the UK. As a child, as we started to watch more American TV and see what Halloween meant in the States, my friends and I all wanted to ‘celebrate’ it more by dressing up and this ‘trick or treating’ thing we had heard about. I have no evidence for this, other than my own experience, but I’m pretty sure the majority of Brits reading this, who are around my age, were told they couldn’t go trick or treating because it was ‘begging’. That seemed to be the standard response. When my kids were younger we tried to incorporate more celebration of Halloween and quickly realised it looks way more fun on TV than it actually is in real life. I’m never attempting carving a pumpkin again in my life! EVER! 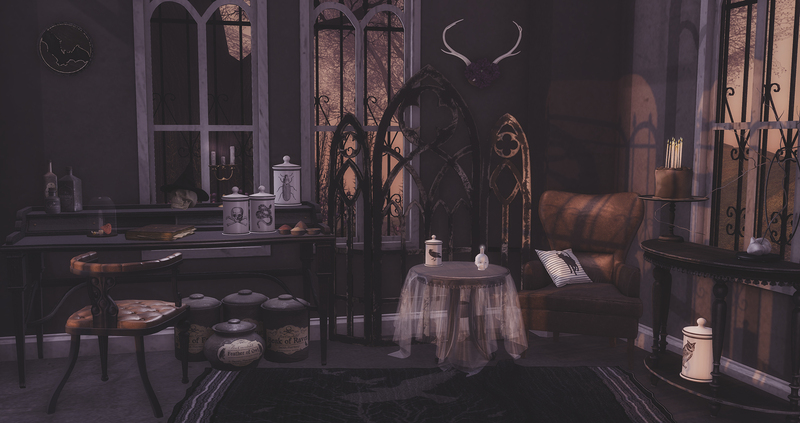 Of course the joy of SL is that you can do all these things in world – decorate, dress up, have perfectly carved pumpkins (without finding pumpkin seeds in your kitchen through to February) and even trick or treat with your friends with minimal hassle.